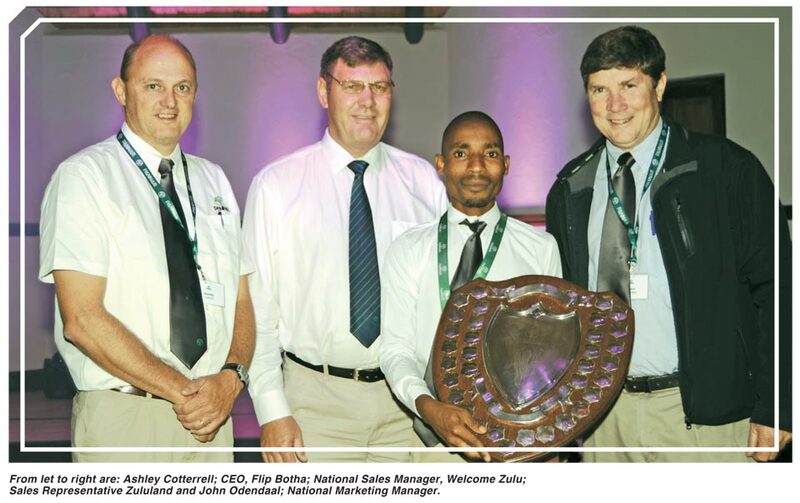 PANNAR SEED was proud to announce their top salespeople for the 2015 season on 26 January at a conference held in the Drakensberg. Welcome Zulu was named salesperson of the year. He represents the company in Zululand and the surrounding areas. Ras Meintjes won the award for runner-up in sales. He is the representative in the Reitz region. It is the energy, passion and capability of our teams that drives the PANNAR brand and our relationships with our customers and stakeholders forward. We therefore thank Welcome, Ras and all our salespeople throughout our business who are so critical to our (and our farmers’) success. Article submitted by Peet van der Walt, Advertising Manager, Pannar Seed. For more information, send an email to peet.vanderwalt@pannar.co.za.